After a few very restful and enjoyable days at British Hills, it was time to move on. We had almost achieved ‘regular’ status in the pub and our waistlines were expanding by the hour. It wasn’t all indulgence, we did manage to get a few important admin things done too. We cancelled our Japanese cellphone contracts, booked a ferry from Japan to Korea and reserved an appointment at the China visa centre to hopefully secure our visas next month. We had a late start on the 20th, after yet another fry up for breakfast at Natu’s place. 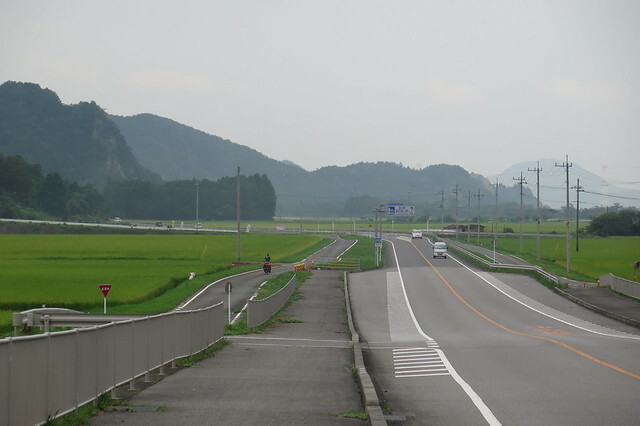 British Hills is up at 950 metres above sea level, so the first 20km were all downhill towards Shirakawa. 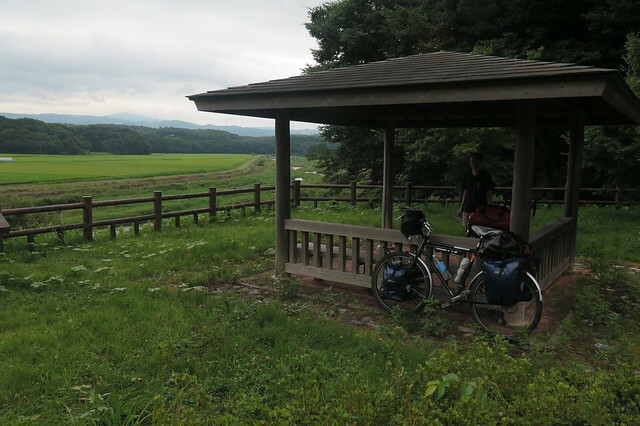 After such a big brekkie, we didn’t feel like lunch but we had a quick break outside a 7-11 when we crossed into Tokichi Prefecture after about 35km. 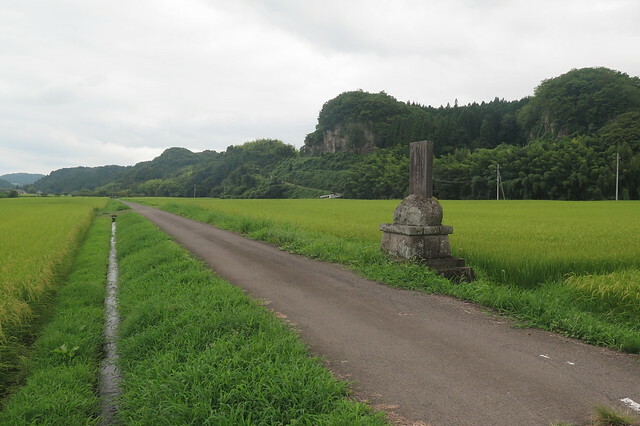 The riding was nice, on minor roads running south parallel to the main road, Route 4. Again, we didn’t have a set goal in mind for the day’s riding, we’d just planned to continue until we’d had enough and then find a nice spot to camp. Typically, beautiful potential camp spots were all over the place through the early afternoon before we were ready to stop for the night. 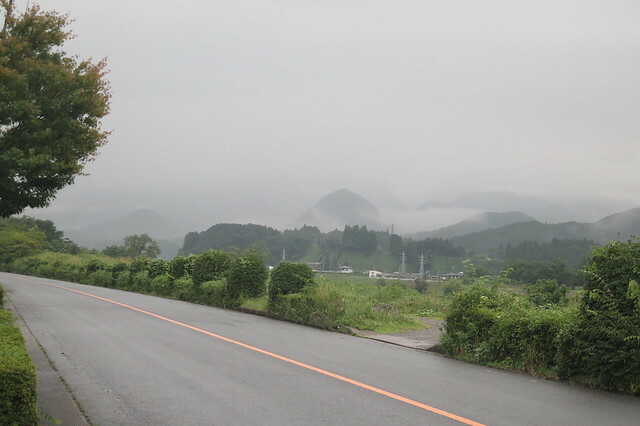 When we reached the town of Otawara at around 4 o’clock, we stopped into a supermarket to grab some supplies for dinner. From then on, the camp spots dried up. Cycling round the area proved fruitless, so we continued on our route, hoping to spot somewhere before the next town. Our smaller road then joined the busy 4 which gave us an unpleasant few kilometres, hugging the hard shoulder. Before long we came across a promising looking sports park in the town of Yaita, which we pulled into after around 80km for the day. We had Korean style noodles with kimchi for dinner and then pitched our tent under a picnic shelter – more rain in the forecast. 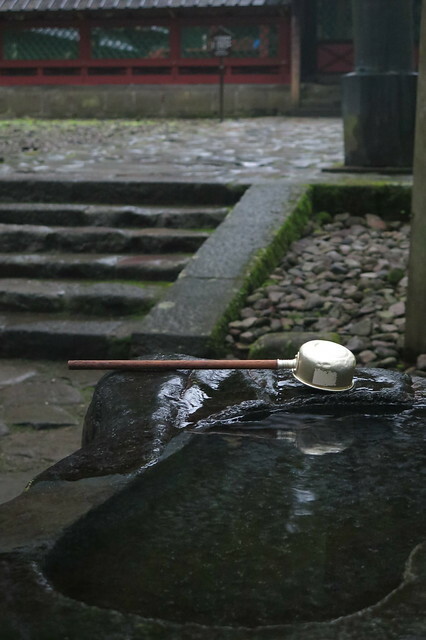 Again, rain through the night and into the following morning. 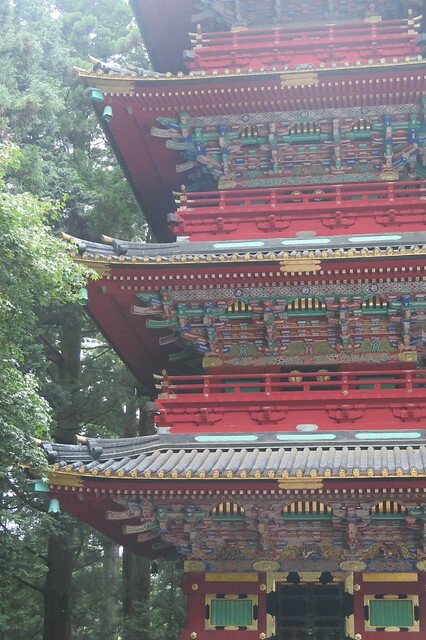 We only had a short day taking us up to the historical city of Nikko. 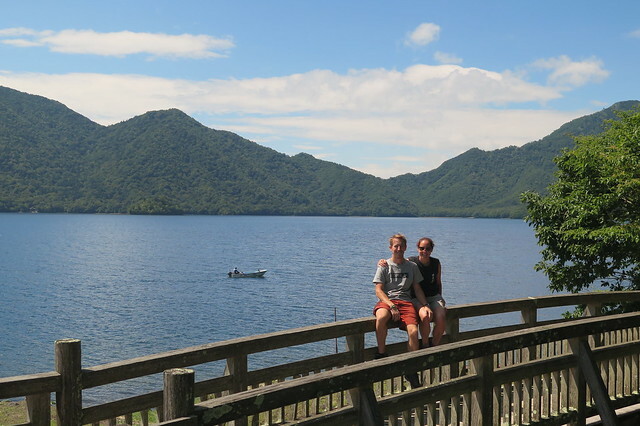 We were following route 461 which gradually climbed is way up to Nikko. 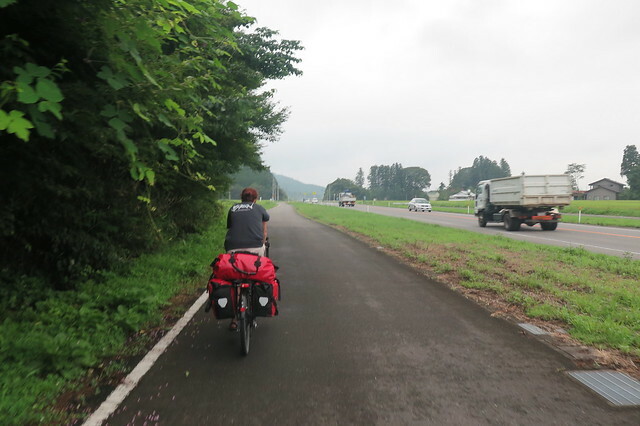 The road was busy, but we had a really wide cycling lane alongside for most of the way. We stopped in at a michi no eki halfway to use the internet (no cellphones now!) and have a break from the rain. We chatted to one of the guys working there who was a big Beatles fan and was excited to hear we’re from England. 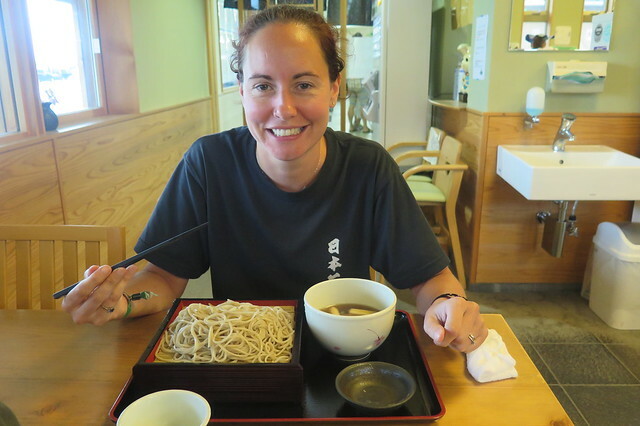 It didn’t look particularly nice outside, so we stuck around for a couple of hours and had some soba for lunch. We’d hoped the drizzle would stop in the afternoon, but it didn’t look like that was going to happen, so we reluctantly left the dry to hit the road again. 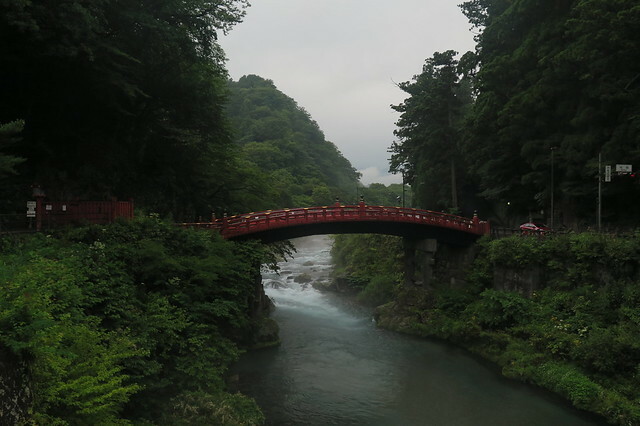 We found a campsite just outside Nikko and handed over a couple of thousand yen to camp for the night. (it’s in a National Park, so wild camping is technically illegal and so a bit trickier.) 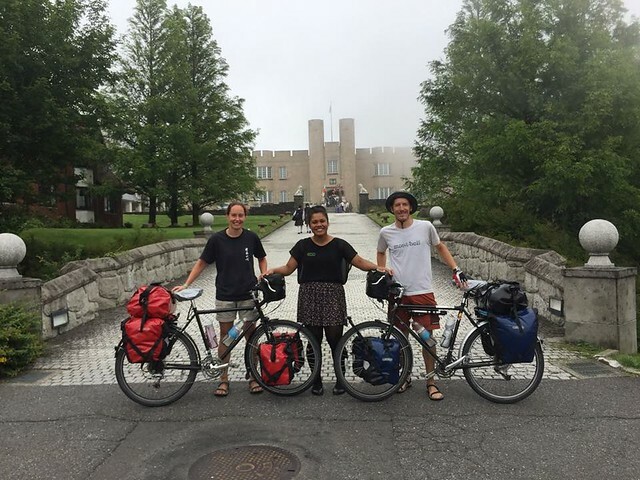 The plus side was that we could leave our panniers safely with our tent and cycle around Nikko with our bikes far lighter. We headed into the old part of the city, a World Heritage Site. 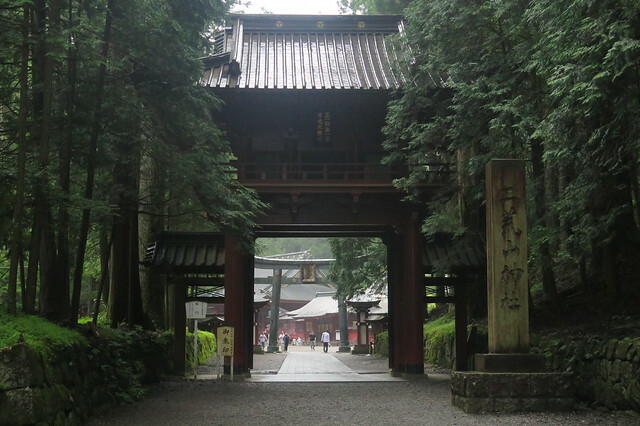 It was late afternoon, and still a little damp so, for a major tourist spot, it was very quiet. 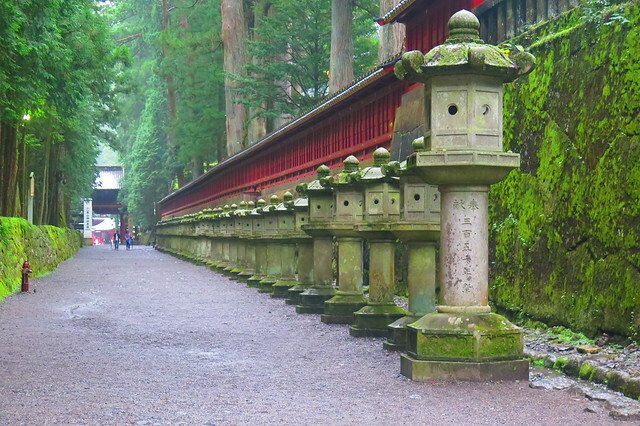 We had a couple of hours wandering though ancient forests looking at the shrines and temples to finish off the day. The following day, we cheated a bit. 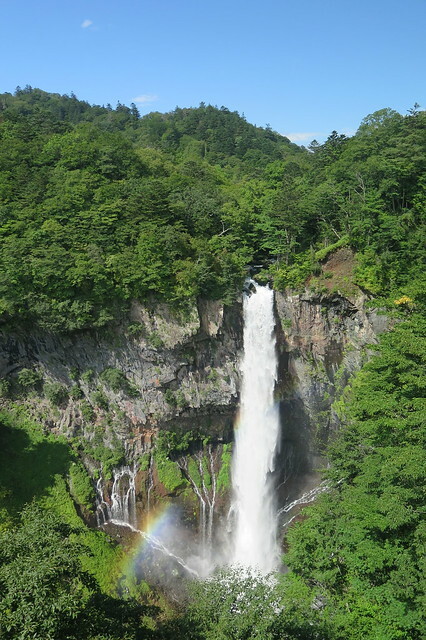 We wanted to see Lake Chusenji and a waterfall that sits almost a vertical kilometre above Nikko. But, looking at the map and the 20+ switchbacks on the road, we decided to take a bus. Definitely the right move! The bus was straining up the road for a good 40 minutes and we were happy to let the engine take the strain instead of our legs. The sense of achievement would’ve been good, and the ride down even better, but I’m not ashamed! The views of the waterfall and around the lake were spectacular. 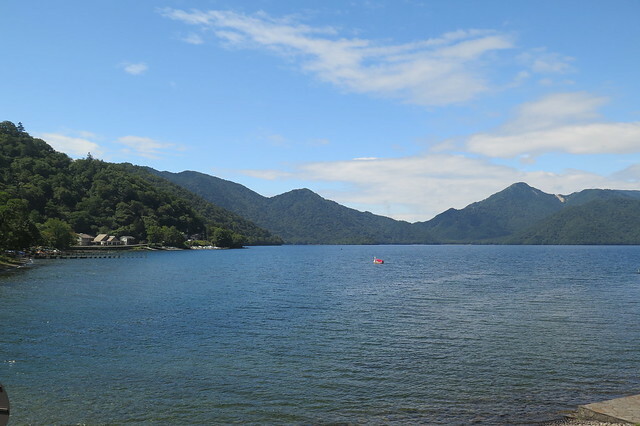 The sun was out through the morning so we had a wander around and then sat by the lake and had some lunch. 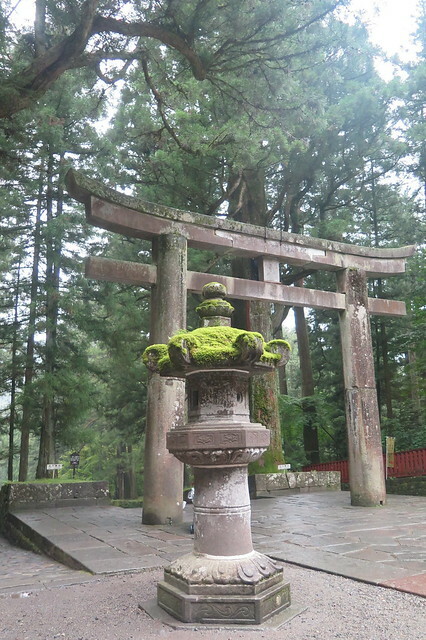 After the bus ride back down we were reunited with our bikes and we left Nikko the same way we came in. 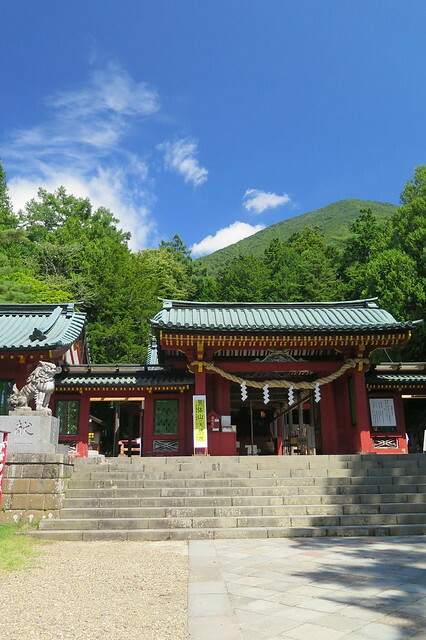 We decided to camp back at the same Michi no Eki at Shioya. 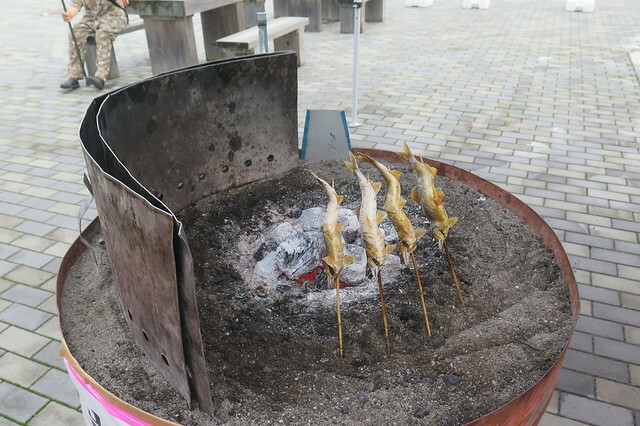 Just now sitting here typing this, our Beatles loving friend from yesterday just came to say hello and gave us a couple of small grilled fish from the nextdoor food market. We’ll pitch our tent in a little while once it starts to get dark. From here, we’ve got 3 days or so to reach Tokyo.